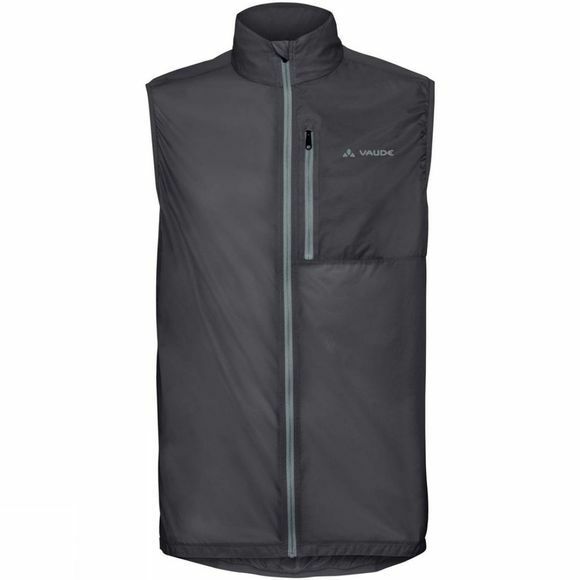 The Mens Moab UL Vest from Vaude is a comfortable wind vest made from Windproof 80 material keeps you warm when you're riding against the wind. With a truly small pack size and unbeatable weight, it's a true-blue companion. 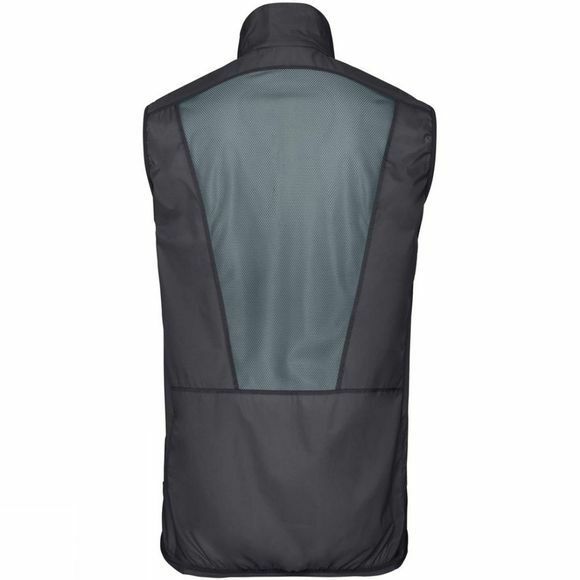 Stretch panels under the arms provide good freedom of movement. Made from a material certified by the strict bluesign system environmental standard, it's comfortably lightweight and offers maximum functionality. This product is made with Eco Finish, an eco-friendly, fluorocarbon-free, water repellent finish (PFC-free). The Vaude Green Shape label stands for environmentally friendly, functional products made from sustainable materials.